A funny thing happened on the way to the digital utopia. We’ve begun to fall back in love with the very analog goods and ideas the tech gurus insisted that we no longer needed. Businesses that once looked outdated, from film photography to brick-and-mortar retail, are now springing with new life. Notebooks, records, and stationery have become cool again. 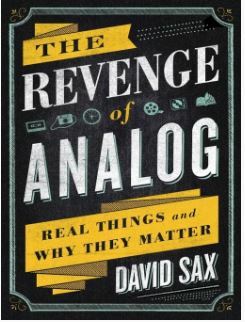 Behold the Revenge of Analog. David Sax has uncovered story after story of entrepreneurs, small business owners, and even big corporations who’ve found a market selling not apps or virtual solutions but real, tangible things. As e-books are supposedly remaking reading, independent bookstores have sprouted up across the country. As music allegedly migrates to the cloud, vinyl record sales have grown more than ten times over the past decade. Even the offices of tech giants like Google and Facebook increasingly rely on pen and paper to drive their brightest ideas. Sax’s work reveals a deep truth about how humans shop, interact, and even think. Blending psychology and observant wit with first-rate reportage, Sax shows the limited appeal of the purely digital life-and the robust future of the real world outside it. Kendra is surprised when she is visited by Dr. Charles Waldridge, the researcher who gave her sight through a revolutionary medical procedure developed by England’s Night Watch Project. All is not well with the brilliant surgeon; he’s troubled by something he can’t discuss with Kendra. When Waldridge disappears the very night he visits her, Kendra is on the case, recruiting government agent-for-hire Adam Lynch to join her on a trail that leads to the snow-packed California mountains. There they make a gruesome discovery: the corpse of one of Dr. Waldridge’s associates. But it’s only the first casualty in a white-knuckle confrontation with a deadly enemy who will push Kendra to the limits of her abilities. 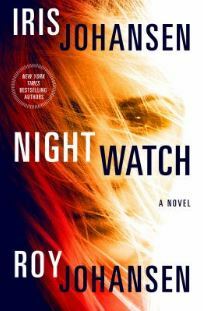 Soon she must fight for her very survival as she tries to stop the killing…and unearth the shocking secret of Night Watch.